Last year was a big event, the intention is that this will be bigger. 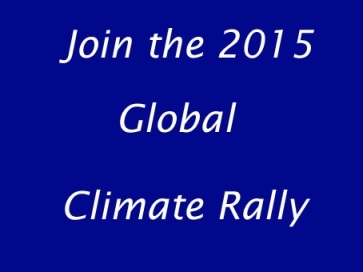 This year a Global Climate Rally is set to coincide with the Paris conference on Climate Change. It is a major opportunity to influence events. This entry was posted on August 15, 2015 by Graham in Hats. It was filed under Climate Change, Information and was tagged with avaaz, Climate Change, climate change 2015, climate change march, Climate Change Rally, global climate march, global climate rally, paris conference.